One of my favorite accessories are lamps. Going through photos of our past projects there is a common theme…they’re almost all white. 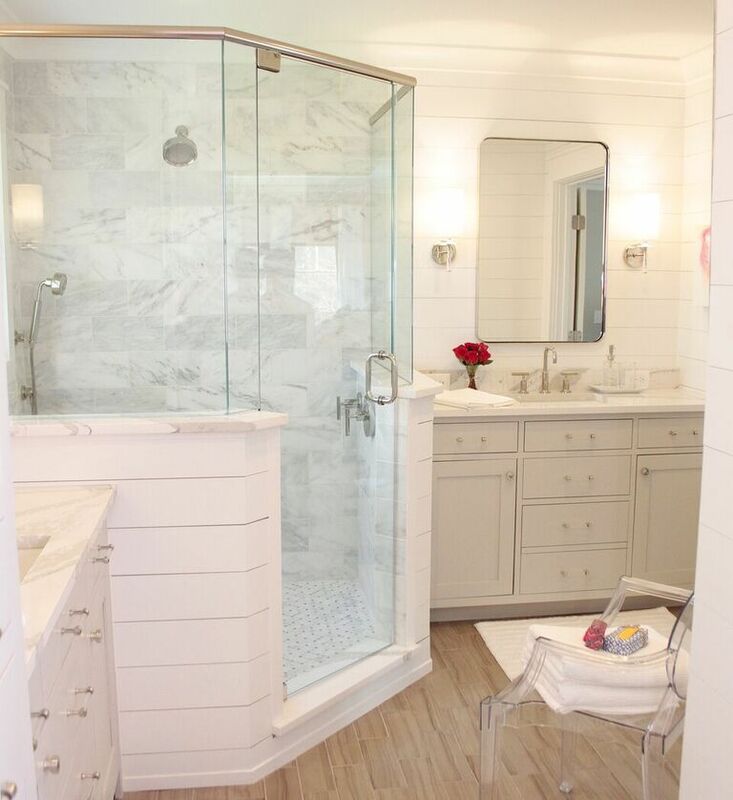 Accessorizing with white is timeless, classic, and hints to a modern feel. 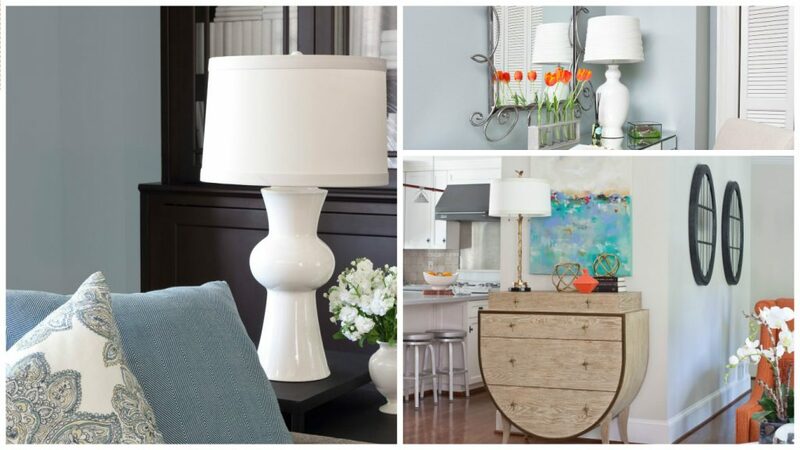 Take a look at some of my favorite accessories that shine – lamps. We were instantly drawn to the unique shape of this lamp base. It’s interesting, modern, and shows really well against the black bookcase. In a room full of architectural interest it was fun to bring architecturally influenced accessories into the room. You can always have fun with lamps! In this basement living room we added a wall of mirrors as the backdrop to this lamp, allowing for light to be reflected to the max. Dark basements really are a thing of the past when you choose properly placed lighting and creative light-maximizing solutions. 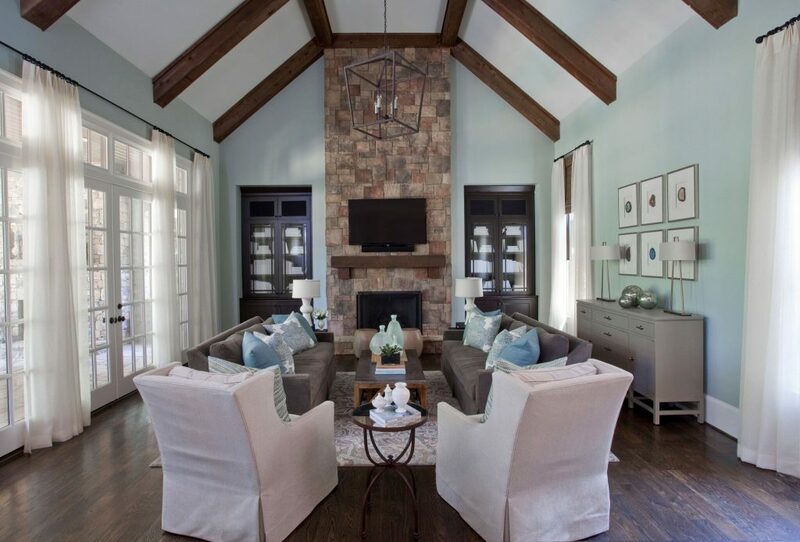 Matching lamps flank a sitting area in this master suite. The white lamps almost disappear against the wall of windows. 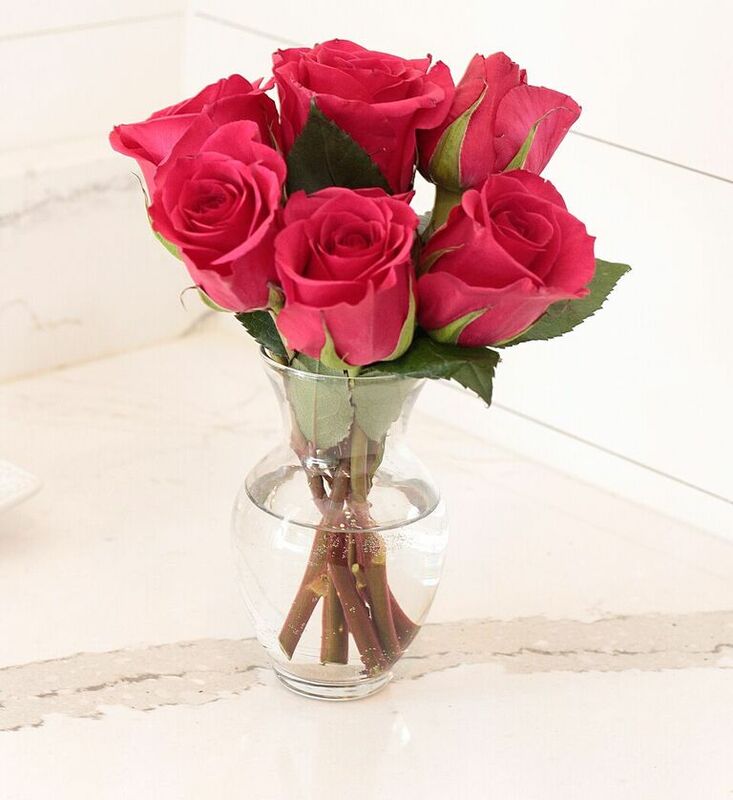 Classic beauty. Varying lamp heights can also bring sophistication and elegance. 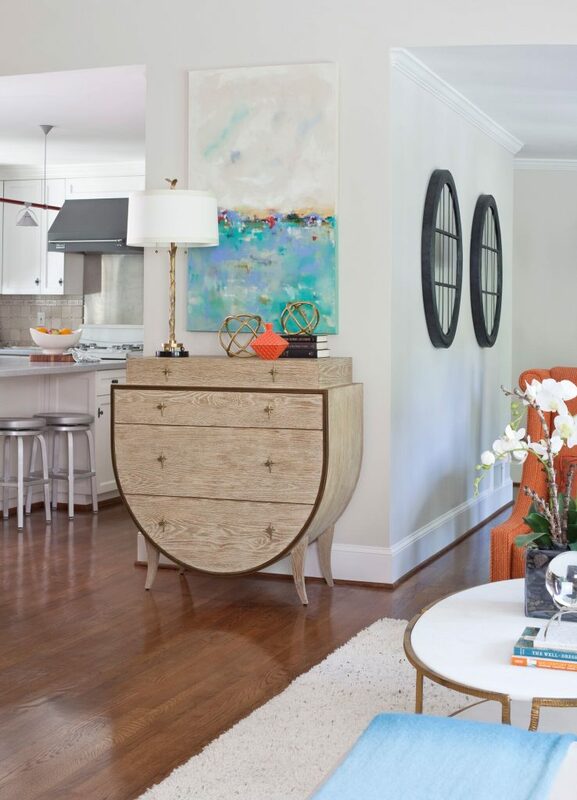 The thin and tall metal lamp base gives this short dresser the height needed to balance the tall ceilings and vertical artwork. And of course, we chose a white lamp shade to complete the elegantly modern look. 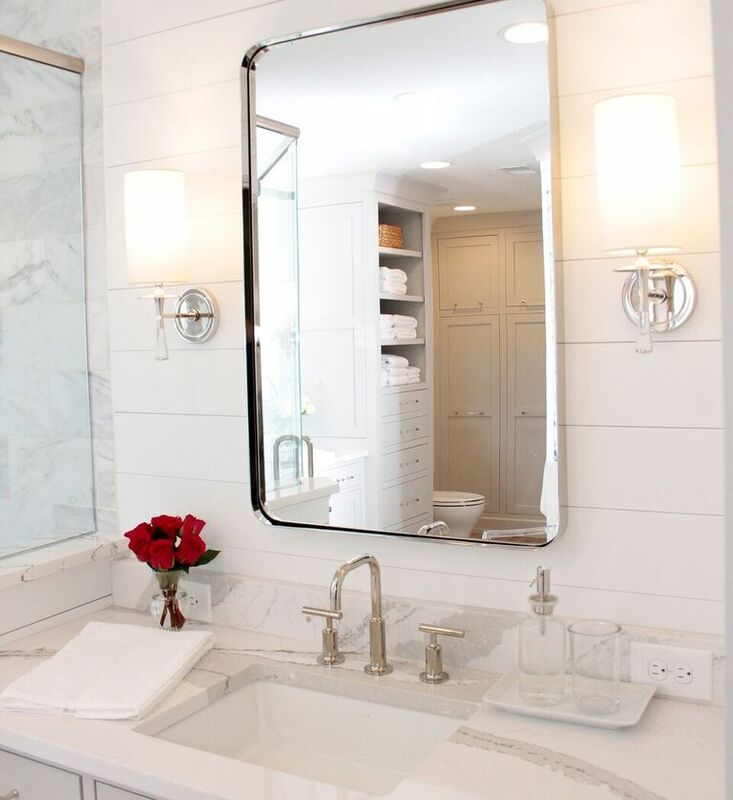 Here’s another example of how mirrors and lamps work together to bring extra light. 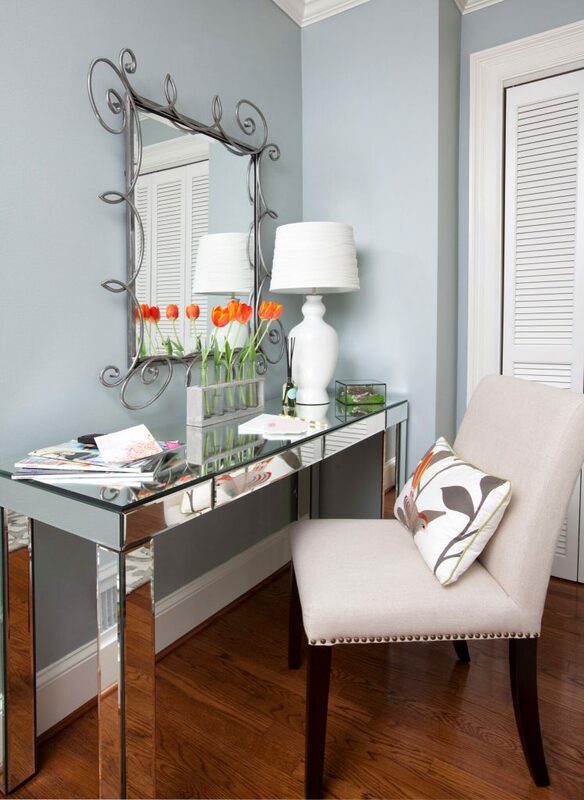 This mirrored desk doubles as a vanity, reflecting and enhancing light in just the right places. 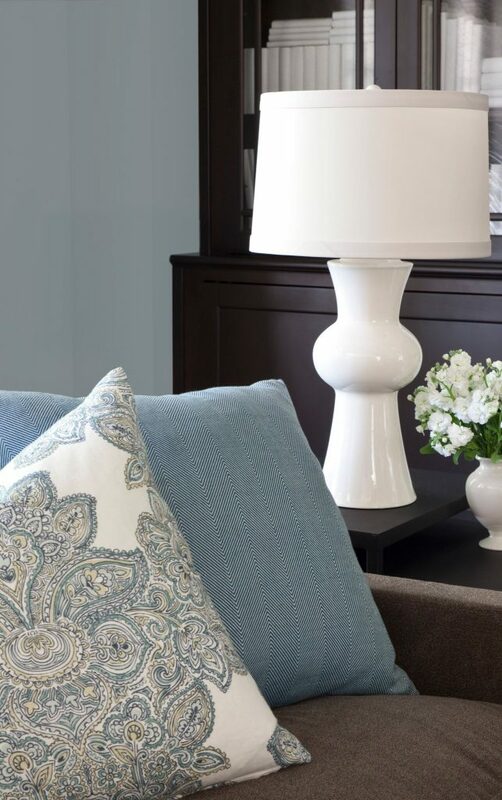 A fabric lamp shade brings texture and interest while the more traditional, curved lamp base softens the sharp lines of the desk and lightens up what would otherwise be a dark corner of the room. 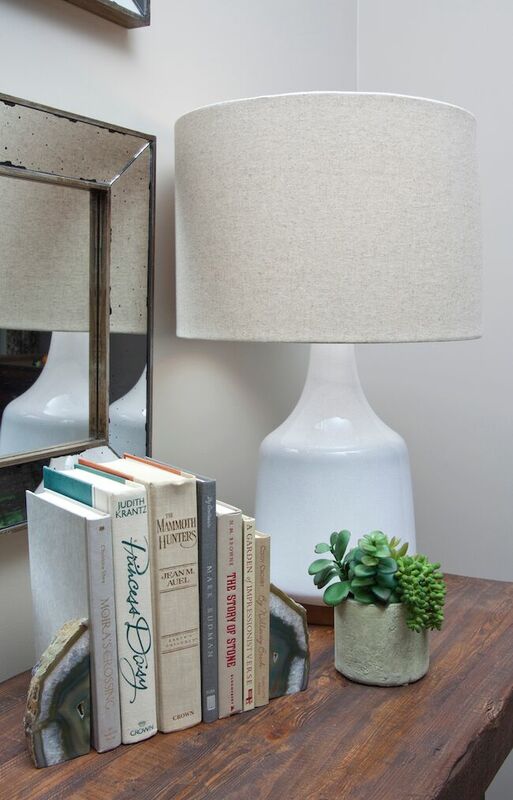 Whether you’re reading a book, writing a note, or applying makeup the placement of this lamp is spot on. We also love how the cord is hidden by the leg of the desk. Which brings up another wonderful light solution, cordless lamps. We love the cordless selections at Modern Lantern. 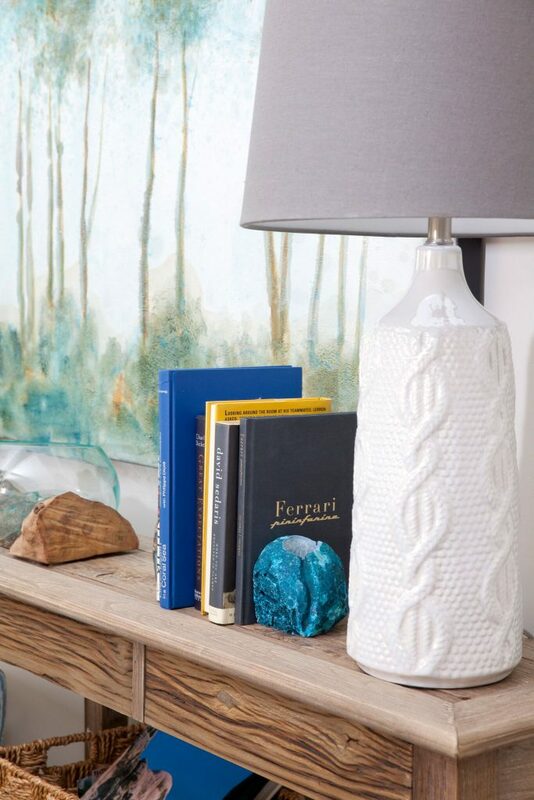 Lamp bases come in all shapes and sizes, but when we found this one with an interesting texture and pattern, it was too good to pass up. Have fun when shopping for lamps. They’re more than just a light source. 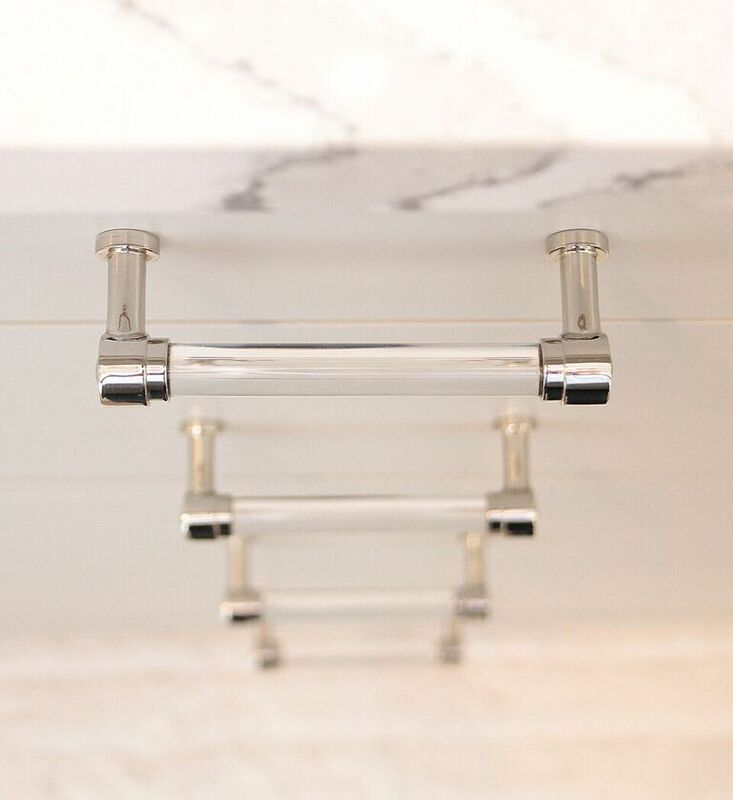 They’re an important design element and if you think about it, they’re one of the largest accessories in your home. 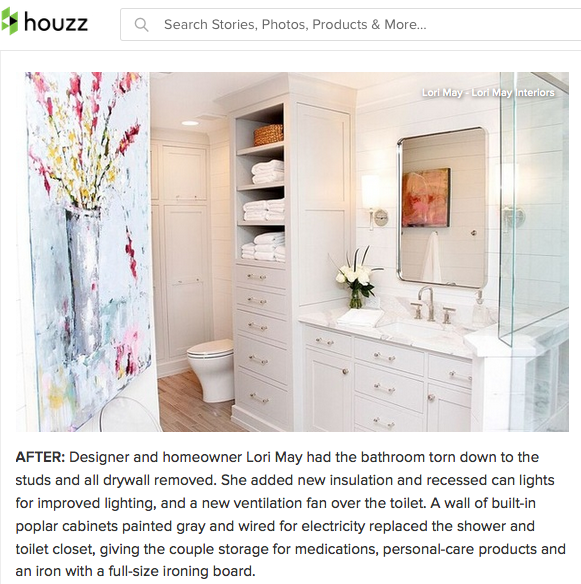 We are so grateful and excited to be featured on this Houzz Room of the Day article. 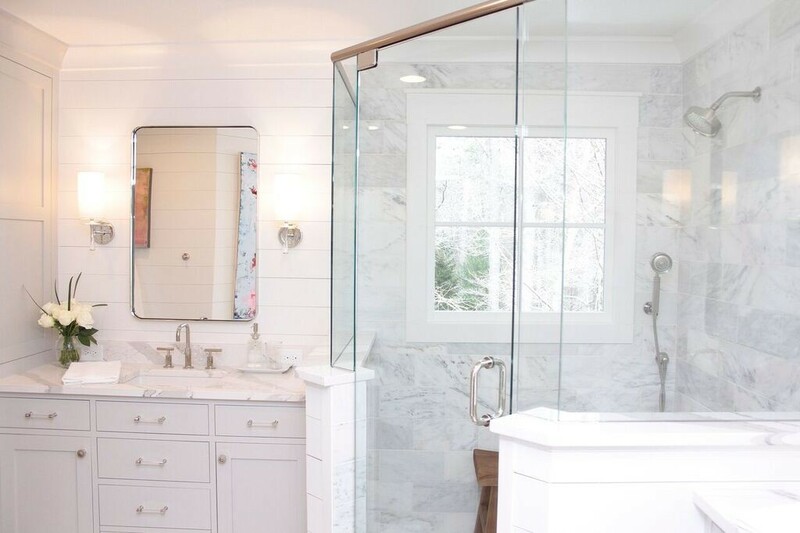 What fun for our own bathroom remodel to be highlighted! 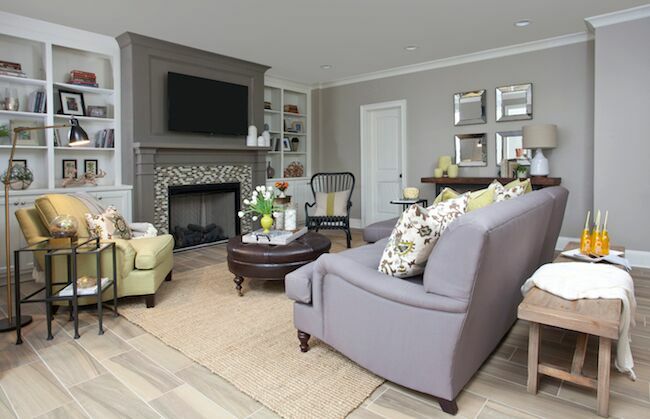 We invite you to join us on Houzz where you can see our new project updates and plans.